South Ruislip Christian Fellowship: our Pastor. 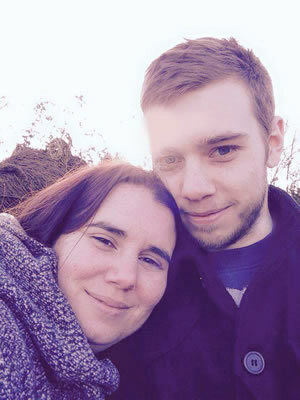 Oli Spence is our pastor and has attended the church since 2010 when he moved to the area for his wife Lucy to take up the post as the full time youth worker. Oli became a Christian at the age of 15 through an Alpha course and soon became an active member of his church's youth group and leading children's activities until moving to London to spend 2 years working with a London based youth work charity XLP in Greenwich and Bexley. Since then he met and married Lucy, been involved in many aspects of service at SRCF, joined the leadership team, completed a degree as well as having their two sons Levi and Hudson. Oli is passionate about worship, creativity, seeing people of all ages set free to worship God in spite of the chaos life throws at us and communicating God's Word to inspire people, and himself, to live differently. Aside from this he loves spending time with his family and is also a poetry and contemporary art lover - both experiencing and making- all of which takes up most of his spare time! Oli is available for any pastoral issues and is most easily contacted on 07577 455692 or pastor@srcf.org.uk.